How to use this Script ? It will enable you to create basic maps starting from your browser Internet (Firefox being largely recommended). It should be noted that as soon as the elements are create, they appear in the center of the map. It is advised before beginning your chart to have a small idea of what to suit you to create. While clicking on "Choose a texture" or the image below a menu appears allowing for choice of to you the texture of your future wall. 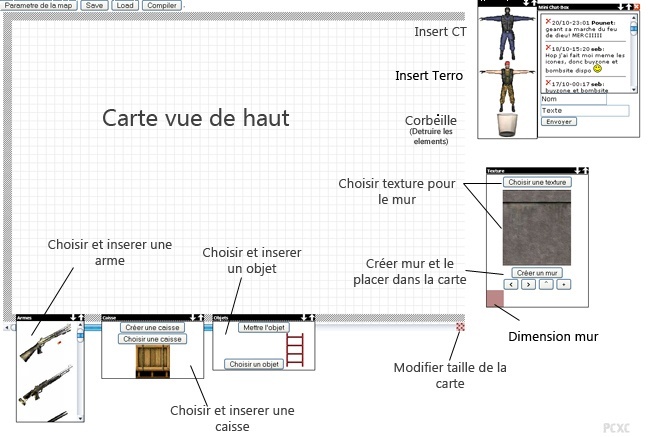 Once chosen, to click on "creating a wall", it appears then in the medium of the chart. To move it on the chart as you do it with files between 2 repertories. All these textures and skies are already hard cored into counter-strike, therefore not need to download WAD or again sky. Load random map: Randomly charge a map on the waiter. - The maximum size of a cookie on your PC cannot exceed 4Ko, which corresponds to approximately a 100aine of objects in your chart. For the moment, it is not possible to safeguard more objects but if this function poses many problems, would make mine better to optimize it. - This function by is not quite simply activated under IE! Once your map finished, clicking on this button, your map will be worked and you will be able to download it. If nothing occurs, it is that the waiter which manages compilation is down, therefore safeguards your chart and Re-try later. There, at the beginning of the round, all the players will press themselves in small space, Ca will make congestion a little, and some will be able to be even wedged. 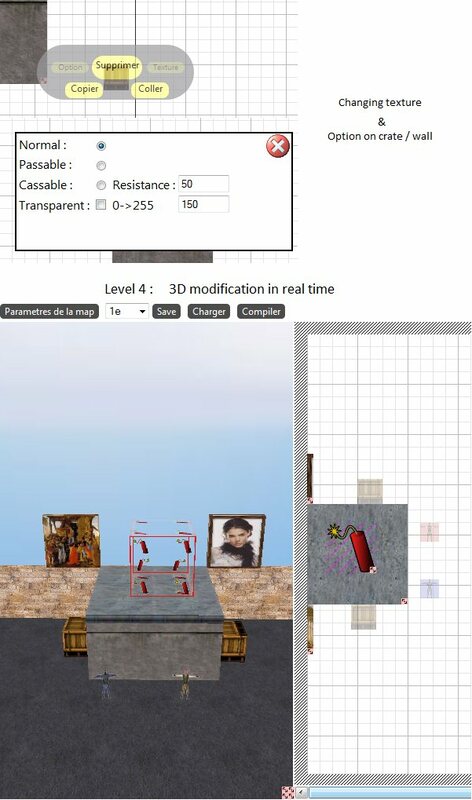 You can put cases dimensions with dimension to be able to jump and pass from the walls. 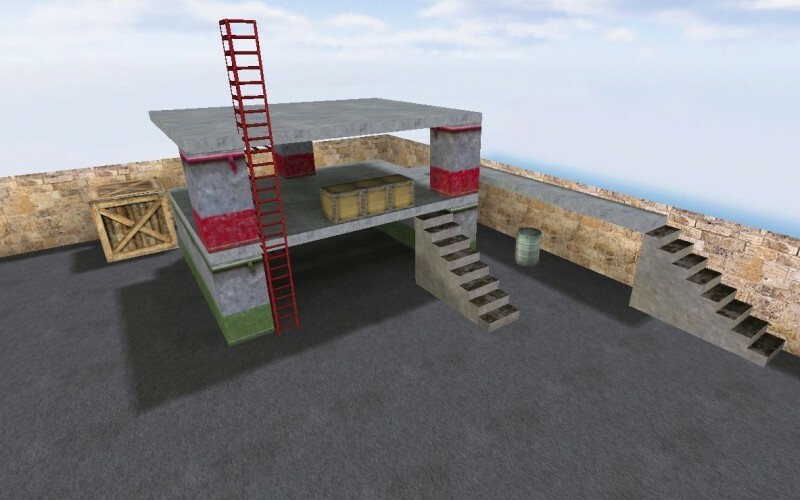 Once that is done you will have to create map with the few elements upstairs, it is possible of Create Map’s more complex with level 2. 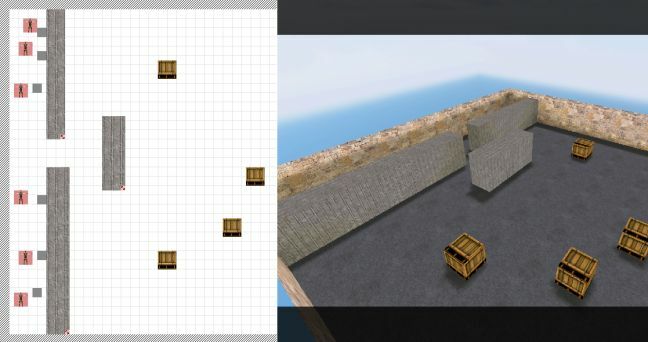 Once you’re DRC to create, insert the ceilings, on the zones or will have to go the players (that of level 2), those will cover the inferior objects. New the objects available in this version are mainly stairs. As for all the other objects, Create and place them on the chart to position them. Here, I think a little of having said all, if you have remarks to make, thank you to say it in the "mini chat-box". I point out that this interface is always in beta-test thus it may be that your map is not compiled or that there are bugs in the interface.